Telepresence, often shortened to presence, is commonly referred to as a sense of ‘being there’ in a virtual environment and more broadly defined as an illusion of nonmediation in which users of any technology overlook or misconstrue the technology’s role in their experience (see Presence defined for more details). 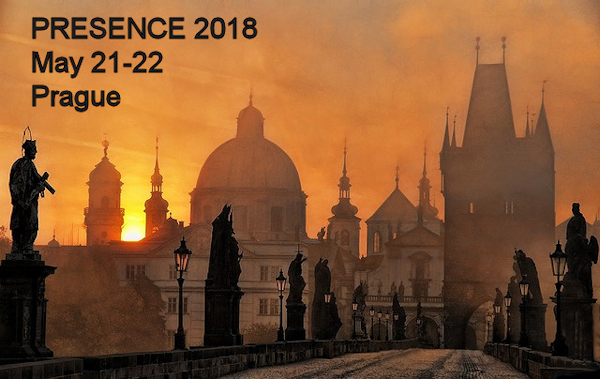 This web site is intended to serve as a resource for those who conduct research, develop theory, design, market, write about, or simply are interested in, the concept and phenomena of presence. We encourage your questions, contributions, comments and suggestions regarding ISPR and all aspects of this website; please feel free to contact us via our webform (or send an e-mail to lombard@temple.edu). 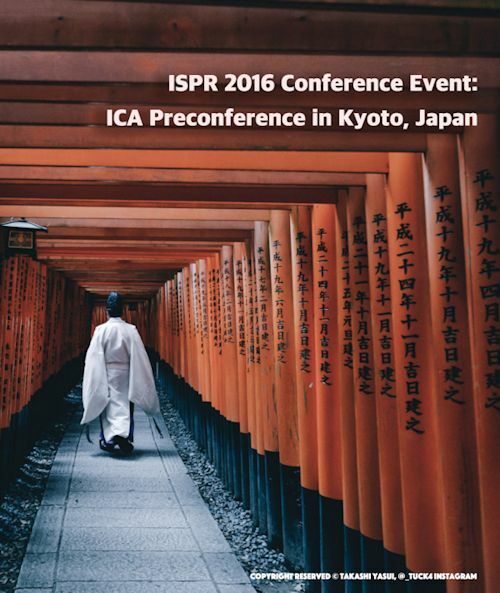 An event held in Kyoto, Japan two days before the 66th annual conference of the International Communication Association in Fukuoka, June 9-13. 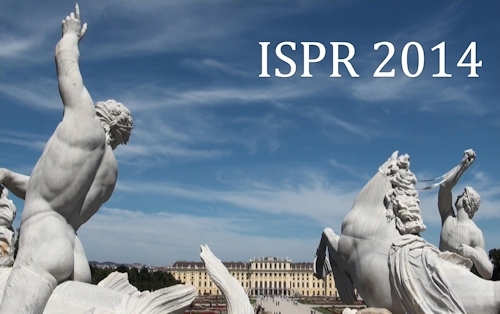 Thanks to everyone who made ISPR 2014 at the University of Vienna a great success, especially Conference Chairs Anna Felnhofer and Oswald D. Kothgassner. The official Proceedings are available now from Amazon and Facultas.